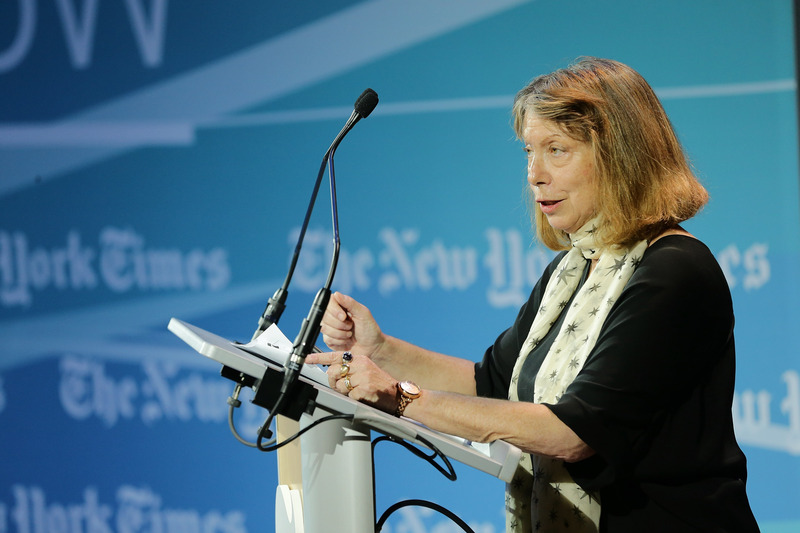 The Internet is abuzz with the developing story of how Jill Abramson, executive editor of the New York Times , was fired on Tuesday. All the facts aren't quite settled yet, but it's not too early to draw some provisional lessons from the situation. It's only partially within your control, unfortunately, and female CEOs are more likely to be fired than male ones. The prevailing discussion about Abramson's departure revolves around gender — there was a salary dispute over the fact that she was paid less than her male predecessor, and she was characterized as "pushy" and "brusque" (descriptors that may have gendered undertones) by coworkers. Other sources cite miscommunications about hiring decisions, philosophical differences regarding "digital media" and videos, and a sheer lack of work chemistry between Abramson and her closest colleagues. The moral here? Do the best work you can but don't beat yourself up if the conditions weren't right for you to succeed. One study showed that both men and women are less likely to want to work with women who ask for raises, but you should still request appropriate compensation despite the potential consequences. First, you need to assess whether or not you are in fact being underpaid, In a piece for the Huffington Post, Kim Keating of HR consulting firm Keating Advisors suggests asking current or former colleagues about their compensation, looking at public salary records, and gathering market data on your position. Bring this research, plus information on your performance and value, to your manager, and if she won't grant a raise, consider asking for more benefits of time off. It's a totally avoidable situation, but you've got options. Maybe negotiate this into your severance package. From the bottom of the work hierarchy all the way to the top, employment just ain't the lifetime agreement it used to be. No matter how high you climb in your field, it remains super important to continue developing your skills and networks just in case. The world doesn't owe you a living; you earn it by being valuable to others. Try to see this as an exciting challenge instead of as a daunting existential threat. And, reality check: if that new position turned out to be full of drama and haters, then it couldn't have really been your "dream job" anyways. Because women are totally full of feels, people might expect you to take a bump in the career road super personally, even if you are highly accomplished. Indeed, the tone around this story is that Abramson's career is life-ruiningly over. But there's no need to be "humiliated" unless you did something humiliating, and in this case Abramson did not. Ignore them: career comebacks are definitely possible, so get your chin up. Just kidding, you'll probably never have any. People — especially people in workplaces — are complicated, opaque creatures, and Jill Abramson (and the public) may never really know exactly why she was fired. But that's OK, because you don't need to have full knowledge of the past in order to move onto the future. Abramson is a smart woman, and I'm sure she has a good idea of what went well during her stint at the Times and what could have gone better (even if she didn't necessarily deserve to be fired). Dirt off your shoulder and on to the next one, lady.